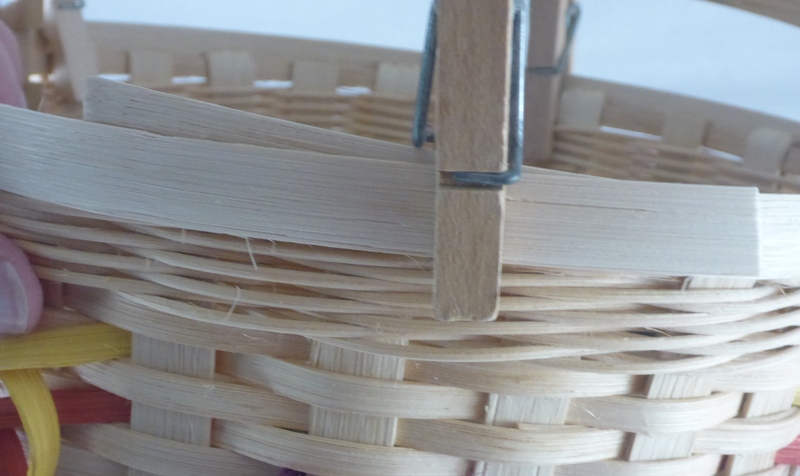 Scarfing or shaving down your rim pieces will give a polished look to your basket. The goal of scarfing is to make the section where the two ends overlap the thickness of a single piece. When done well, it is difficult to find the join. This can be done in a number of ways with several different tools. Many weavers use a sharp knife and put a piece of thick leather on their lap to protect themselves. 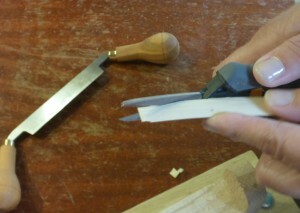 Others use a trim plane or a pocket plane or a Stanley Surform Shaver and shave on a cutting board. When I am traveling, I use the Xacto Scraper with square (box) blade or my wood scorp and a small cutting board. However, when I am in my studio, I use my favorite tools – a draw knife and a shave pony. Whatever you use, be sure it is sharp! Rim material is usually flat oval or half round. It can be wet or dry when scarfing, depending on personal preference. First, cut a piece of rim material for the inside rim and the outside rim. The outside rim will be the outside diameter of your basket (on the rim row) plus about 4-5 inches. 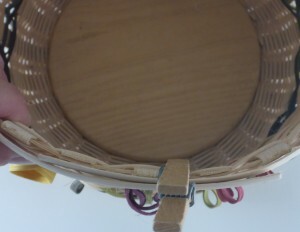 The inside rim pieces will be the inside diameter of your basket (on the rim row) plus about 3-4 inches. Put the outside piece around the basket and mark where they overlap. Mark on the top of the piece that slides under and on the under side of the piece that sits on top. Next prepare the inside piece of rim material. 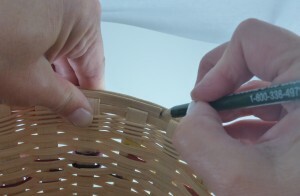 Put the piece around the inside of the basket along the rim row. 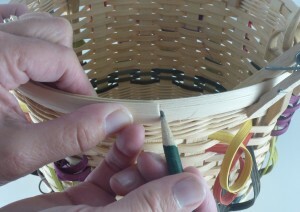 If you are working dry keep the rounded side against the basket for measuring and marking. Mark on the top of the piece that slides under and on the under side of the piece that sits on top. Now that both pieces are marked, you will shave them down. You will only shave the side that is marked, this means one end will be shaved on the flat side and the other will be shaved on the oval or round side. If you are using a drawknife work with the beveled side down. After shaving, trim and sand the end that will be on the outside and your rims are ready to add to your basket. For a tutorial on scarfing with a plane check out The Basketmakers Catalog’s How to Make a Perfect Scarf Joint for Your Rims. Stanley Surform Shaver and planes can be purchased at your local hardware store. 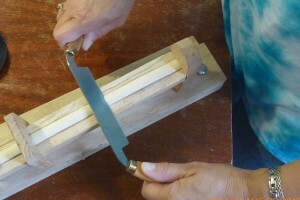 The Xacto scraper with square or box blade can be purchased from most basket supply and woodworking stores. Many basket shops have shave ponies. 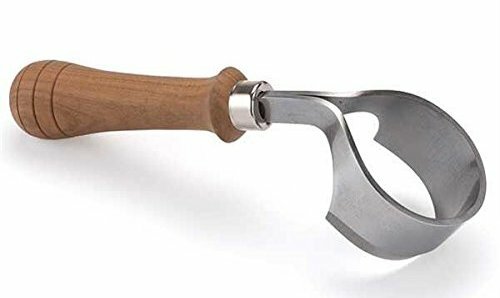 My favorite shave pony design is available from East Troy Basketry for $40 The draw knife that I use and love, PFEIL “Swiss Made” Carver’s Drawknife, is available from Amazon. 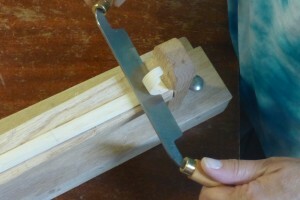 I am on my second drawknife. Years and years ago, I spent a chunk of money on a beautiful knife. I used it until I broke one of the walnut handles off -it probably had a lifetime warranty, but I have no idea where I bought it. So, it wasn’t too long ago that I found myself shopping for a new one. I looked at a lot of drawknifes. I found one that I thought was perfect, but choked at price tag. So bought one that I thought would be sufficient and was less than half the price. After spending an afternoon preparing rims before dying them for classes, I realized it was money wasted. 🙁 My hands were sore, the blade didn’t slide through the material and the finish on the rims was less than perfect. So that evening I went online and ordered the perfect one. And yes, it is perfect. I prepped bunches of rims the other day – wow, what a difference having the right tools make. 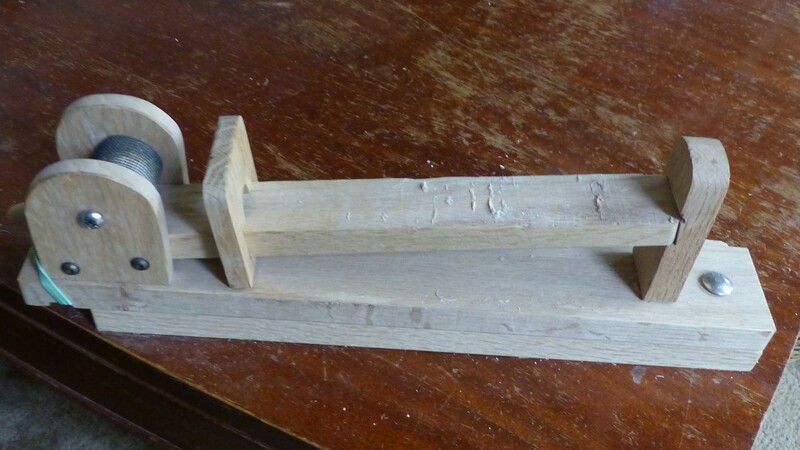 So don’t waste your money and buy a cheap drawknife, it will be a mistake. Click on the photos to see it on Amazon. I love my wood scorp. When I am home it sits on a small block of wood on my weaving table. I use it all the time to shave down the overlaps on flat oval weavers. One or two scrapes and it’s done. I have two, the one on my table and one in my travel tool bag. They are pricey, but worth it. *The scorp is no longer available from Amazon, but I found it at the Woodcraft store … click on the photo and it should bring you there. I’ve used most of these except the draw knife and the wood scorp. How is the wood scorp used? Karen, The scorp is used the same way you would sue the exacto box blade. 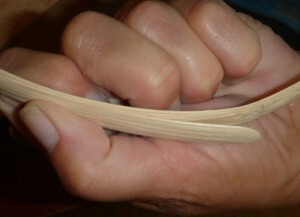 The curved blade is sharp and you pull it over the section of rim material or weaver you want to shave. Thank you for all the great information and sources! What a help! Just to let you know,the scorp is not available anymore on amazon and the 1 review on the source was very bad. Do you happen to have another source for this scorp? Also, do you have a pattern or source for what you are using to hold your reed (in the picture) when you use the draw knife? Thanks for the update Linda. Give me a few days and I’ll See if I can find a bette source for the scorp. I’ll also post a photo and info about my shave pony. I have updated the source for the scorp. If you click on the photo of the scorp, it should now bring you to the Woodcraft site. I just ordered the Scorp from Woodcraft. It’s on sale through April 27th for $29.99. Good deal!! !